After graduation from the University of Qld in 1970 Dr Hohl worked in Papua New Guinea for 2 years and was confronted with the high death rate from preventable diseases such as Rotavirus Diarrhoea, Pertussis and Pneumococcal Pneumonia. 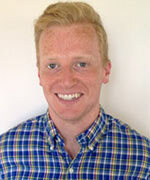 This experience persuaded him to focus his career on public health and preventive medicine. After further training in Tropical Medicine Dr Hohl launched a rural health program in northern Nigeria focused on training already highly respected community leaders as village health workers supported by medical assistants and midwives. This reduced infant mortality 50% within 2yrs in each community involved in the program. Fundamentally it was a program empowering communities to solve their own problems and thus it has been self sustaining. For this work Dr Hohl was awarded a Fellowship in Public Health Medicine see FAFPHM. Back in Australian general practice Dr Hohl's focus continued on preventive medicine, and it became clear to him that a clinic focused on protecting travellers was needed so he opened the first Travel Medicine clinic on the Gold Coast in 1995. 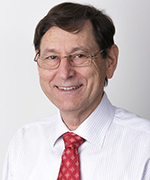 In 2004 Dr Hohl was appointed a senior lecturer at the new Griffith University Medical School and 2 years later an Associate Professor at Bond University Medical School. Scores of students and GP registrars have spent time in Health HQ as part of their training. Health HQ's skilled and qualified practice nurses also teach student nurses from Griffith University at Health HQ. For 7 years Dr Hohl also maintained a registered branch office in Western China run by skilled nurses focused on detection, treatment and prevention of Hydatid disease in the Yak herdsman and their families. Great progress has been made so the office was closed in 2011. As a doctor who has had to treat cases of every single disease against which we routinely vaccinate children in Australia today, Dr Hohl values the role of immunisation very highly. 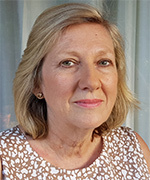 After graduating from the University of Queensland in 1985, Dr Thatcher worked for two years at Royal Brisbane Hospital and one year at Greenslopes Private Hospital in Brisbane. As part of this training, he worked in the rural and remote communities of Mount Isa and Doomadgee. 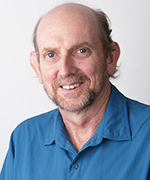 Upon returning to Brisbane, Dr Thatcher worked in general practice while completing an honours degree in information technology, which is a personal interest of his. After moving to the Gold Coast, Dr Thatcher joined Health HQ in 2001 and completed his Certificate in Travel Health with the International Society of Travel Medicine . He has a special interest in travel medicine, but also enjoys seeing general practice patients and managing their infinite variety of health issues. After graduating from the University of Queensland in 1980 and completing his hospital placements in Brisbane, Dr Cassimatis and his wife moved to Tasmania, where he worked in rural general practice and accident & emergency (A &E) for 4 years. 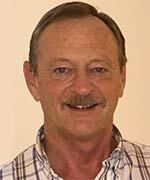 After returning to Queensland he has now been in General Practice in Southport for the last 26 years and thoroughly enjoys the interaction with his patients. As of Monday the 31st of October 2016 Dr Sally Kervison will be moving from Broadbeach Medical Centre to work at Health HQ Southport. Dr Sally Kervison is a graduate of the University of Sydney where she obtained her MBBS in 1980. 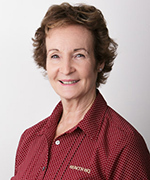 She has been a general practitioner for over 30 years and has lived and worked on the Gold Coast since 1999. 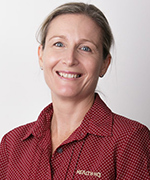 Dr Kervison has postgraduate qualifications in occupational health (Master of Public Health), a Diploma of family medicine, a family planning national certificate (FPAA NSW) and a Bachelor of Laws from the University of NSW. Dr Kervison is interested in all aspects of family health. 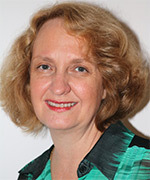 Dr Nora Cadman is a graduate of the University of Queensland, where she obtained her MBBS in 1985. She later obtained her Fellowship with the Royal Australian College of General Practitioners (FRACGP), and the Certificate of Family Planning Qld (Cert FPA). She has over 20 years of general practice experience within private practices, initially in Ipswich and then on the Gold Coast. More recently, she has gained further experience focusing her practice on women's health whilst working on the Gold Coast. She has a special interest in whole patient care, but has particular expertise in women's health including pap smears, contraception, antenatal care, sexual health, polycystic ovary syndrome, menopause, period problems, breast and genitourinary problems. She is looking forward to meeting you and offering quality medical care. Dr Judd McClelland has lived on the Gold Coast for over 35 years. He completed all of his schooling in Southport and eventually went on to complete his medical degree as one of the first cohorts at Griffith University. He completed many years working at the Gold Coast Hospital where he spent most of his time in the emergency department. Dr McClelland then completed postgraduate studies in skin cancer medicine with the Skin Cancer College Australasia. He has also completed further training in No-Scalpel Vasectomy. Special interests include General Practice Medicine, Skin Cancer detection and treatment and Vasectomy. 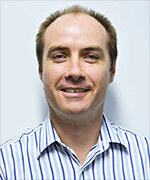 Dr Halliwell is an experienced GP who has worked on the Gold Coast since 1996. 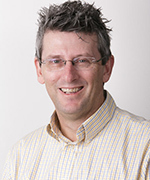 He graduated from the University of Auckland in 1987 and completed his formal training as a GP in in 1995. After a year working in London he and his wife moved to the Gold Coast and in 1997 completed the exam and assessment process to become a Fellow of the Royal Australian College of General Practitioners (FRACGP). His clinical interests are in managing patients with complex or chronic health conditions, and in the co-management of patients with a significant cancer diagnosis. He also has a special interest in skin cancer medicine/surgery with more than 20 years of experience in this field. For many years Dr Halliwell has been involved in the teaching of GP registrars mentoring 18 to full fellowship. 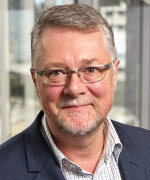 Outside his clinical work, Roger is a director of two significant not-for-profit organisations that provides innovative healthcare solutions for patients who require additional support beyond the traditional models of care, see CheckUP and Gold Coast Primary Health Network (GCPHN) formerly Healthy GC. Dr Niles Donley graduated from the University of Qld in 1982 and subsequently spent 6 years in the Qld hospital system gaining a wide range of experience including general medicine, paediatrics, surgery, anaesthetics, obstetrics and orthopedics. Dr Donley operated his own private medical practices in Bundaberg for 20 years, then Brisbane for 8 years and has been in private practice on the Gold Coast since 2017. 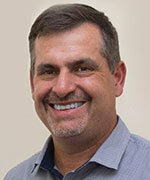 He is an experienced family doctor providing care for all medical problems. His clinical interests include general medicine, paediatrics, geriatric health, minor surgery, mental health management plans and health assessments. Aaron holds a Bachelor of Software Engineering from Griffith University and is a current member of the Australian College of Audiology. He commenced his career in the Hearing Health Care Industry back in 1987 and has worked in private practice in Brisbane, Gold Coast and the Northern Rivers, helping tens of thousands of people over this time to hear again and improve their quality of life. Aaron has a unique skill set not only in hearing aid prescription, fitting and management but also in the manufacture and repair of assisted hearing devices. This has earned Aaron the reputation as one of the most experienced and qualified practitioners in the hearing health industry. For this reason Aaron is often sent referrals from doctors in order to troubleshoot more difficult hearing health cases. 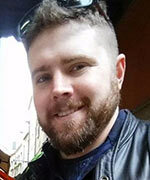 Aaron is highly approachable and easy to talk to and would love to help you with your hearing health. Nelson completed his Bachelor of Health Science and Masters of Podiatry at La Trobe University in Melbourne, graduating in 2014. The following year Nelson moved to the Gold Coast in pursuit of warmer weather and began working at Gold Coast Foot Centres in 2015. 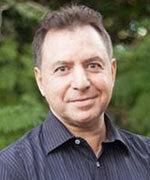 Nelson has worked as a podiatrist in a range of settings including private practice and public and community settings. This has exposed him to a diverse patient base in the areas of assessment and rehabilitation of sporting injuries, diabetes, nail surgeries, footwear recommendation and general foot care. During his study Nelson worked in a running shoe shop in Melbourne called Active Feet where he gained invaluable knowledge of the range of athletic footwear and how a shoe fitting can affect biomechanics and injury. Nelson's special interests in podiatry are the prevention and treatment of injury, paediatric podiatry and how athletic footwear affects bio-mechanics. Outside of work Nelson enjoys playing Australian Rules football for the Broadbeach Cats, running, social basketball, hiking, food and playing guitar. Anthony is a registered psychologist with over 20 years’ experience working with people just like you. He has worked with government and private companies over the years and now works in private practice here at Health HQ. He works with children, adolescents and adults. Areas of specialisation for Anthony include all forms of anxiety (GAD, PTSD, OCD, Panic, Social, Performance and Specific Phobias). He also has expertise in the following: Stress Management, Depression, Adjustment Disorders, Anger Management, Loss and Grief and Addictions. Additionally, he assists clients with low self-esteem and confidence building, identity issues, personal development and school and work/career concerns. The dietitian service at Health HQ is provided by Shannon Penny from Way of Life Nutrition. Shannon believes that equipping her patients with correct nutrition knowledge will significantly improve their overall health and well-being. Shannon is passionate about providing evidence-based nutrition advice and is committed to providing ongoing education and counselling to motivate and support her patients as they work towards their health and nutrition goals. 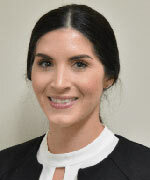 Shannon’s special interests in dietetics are chronic disease prevention and management including diabetes, sustainable weight loss, preventing cardiovascular disease, treatment of gastrointestinal issues and elderly nutrition and nutrition management during cancer treatment. Rise takes a unique approach to sleep health and our team of sleep health professionals have specific training in the treatment and management of sleep apnoea. The passionate team at Rise including sleep health practitioners Mitchell Rudd (pictured above) and Ruben van der Merwe are always on hand to ensure patients have access to the very best sleep related therapies currently available in Australia. Rise treat obstructive sleep apnoea (OSA) on the Gold Coast. OSA occurs when muscles in the throat relax and cause obstruction to the airway during sleep which temporarily stops the person's breathing (apnoea means temporary cessation of breathing). The most effective treatment for moderate to severe OSA is continuous positive airway pressure or CPAP which is a simple machine that pumps air through a mask that the patient wears at night. Kim Starr is Health HQ’s Nurse Manager and has worked as a registered nurse since graduating from The University of Sydney with a Bachelor of Nursing in 1993. She began her career working with children doing developmental assessments before taking on advanced clinical roles in aged care following her move to Queensland. A transition into general practice nursing has allowed Kim to focus on chronic disease management, care planning, and health assessments for all ages, as well as travel health. She has completed further studies to become a Workplace Health and Safety Officer, Workplace Assessor and Trainer, Continence Assessment Officer, and Nurse Immuniser. Kim has a special interest in providing cosmetic skin treatments, and has undertaken further training in IPL (intense pulsed light) and laser therapies for her role in the Skin HQ skin clinic. Margie Goodwin is a registered nurse and midwife. She did her general nursing training at the Princess Alexandra Hospital and her midwifery training at the Mater Mothers' Hospital in Brisbane. Margie grew up in Papua New Guinea, and after her training, she spent 20 years in western Queensland working both in hospitals and the in the community as a rural and remote area nurse. Her sea change to the Gold Coast has lead to an interest in travel health and in general practice nursing including working in a skin cancer clinic, which allows her to use her vast experience to provide great care for her patients. Emily Meikle, born and bred on the Gold Coast, graduated from Griffith University Bachelor of Nursing in the top 5% of her year. Health HQ are honoured to have her on the nursing team. Emily was also selected to undertake the Graduate Nurse Program for Practice Nurses (Gold Coast Medicare Local) which is the first of its kind in Australia. She brings a high level of competence in every area of nursing that she works in at Health HQ. 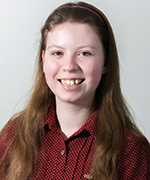 Emily also maintains a link with academia through her position at Griffith University updating and maintaining equipment and technology used to teach student nurses of the future. Emily Meikle also has a keen interest in wound care management and skin cancer for which the Skin HQ team are very excited. Marilyn joins us after completing her Bachelor of Nursing in 2015. Brenda has worked in many different areas of nursing for the past 25 years. She has worked in the UK and in Australia since 2004. Brenda has worked in the operating theatre in a regional burns unit, as a nursing Level 3 healthcare support worker and as a nursing palliative care assistant in a hospice facility. 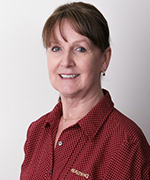 Brenda also holds the AQF Diploma and AQF Level 3 Australian healthcare qualifications. Brenda has worked for Health HQ since 2006 and her current role is as an assistant in nursing. Brenda's special interests include wound care and attending in-services to keep up to date with current health practice standards. Health HQ receptionists are Heidi, Dorothy, Leanne, Tina and Emma. Nicky has over 18 years experience in administration within the medical services sector. She joined the team at Health HQ in 2004 as a receptionist and progressed to head receptionist prior to being appointed as Health HQ's practice manager in 2013. Nicky graduated with a Diploma of Practice Management from the University of New England and has also completed the Wesley Advanced Medical Receptionist Course. Nicky performs a myriad of different day-to-day tasks that are required to keep the Health HQ office humming along smoothly. She regularly attends numerous health industry seminars and workshops to maintain the highest standards of customer service and administrative excellence. Nicky considers the patients and staff of the Health HQ medical practice as part of her family. She thrives on the camaraderie at Health HQ and has immense pride in her work.